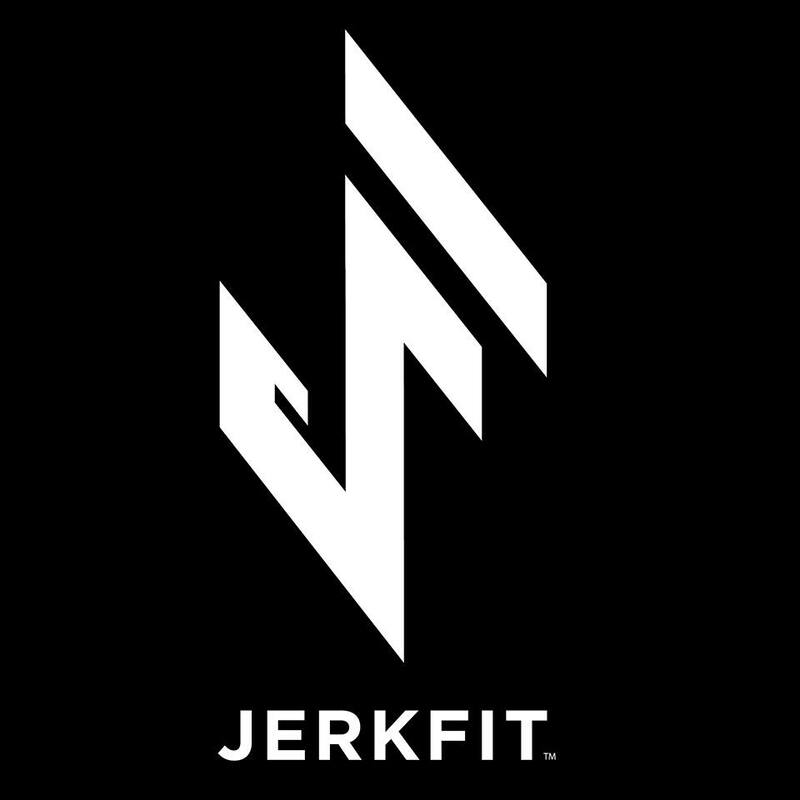 Way back in October 2014, we brought on JerkFit and introduced our readers to their WODies and Nubs. ( Review of WODies and Nubs ). To date that review is one of our most highly read reviews. 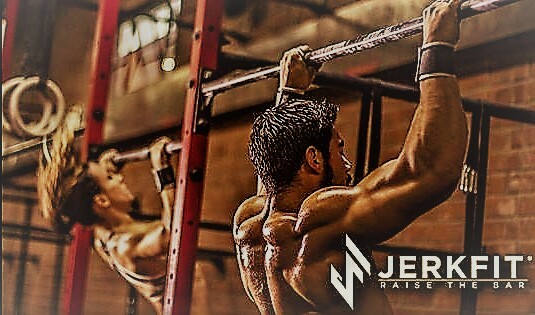 Recently we contacted JerkFit as we noticed that they had expanded into other fitness products. A few weeks ago, I received JerkFit’s weight belt, reversible knee sleeves, and speed jump rope. So I definitely have a method to my madness with this review. I’m going to start off with the product that traditionally I have struggled with, and that is double-unders. I have continually struggled with maintaining a high number of continual double-unders. I pulled the JerkFit Omega Speed Rope out of its wrapping and noticed the high quality right away. It has a nice caring case that you can place your rope in, and it gives you a very long rope with two handles. The explanation on how to measure out your rope length is simple and easy to understand. The handles themselves spend quickly and freely from the handle to the connection in which the rope is attached. I was able to have the speed rope ready within 2 minutes of pulling it from the packaging and the length is custom to your height and skill level. I immediately walked into our garage gym and was able to knock out 25 unbroken double-unders. That’s saying a lot for this big dude that traditionally hates them! You can purchase different color handles and rope from their website. Of course, most of you know that I am extremely patriotic, so I got my blue handles and red robe 😊. JerkFit’s Omega Speed Rope is an excellent product! It now serves as my primary speed rope in my gym bag! 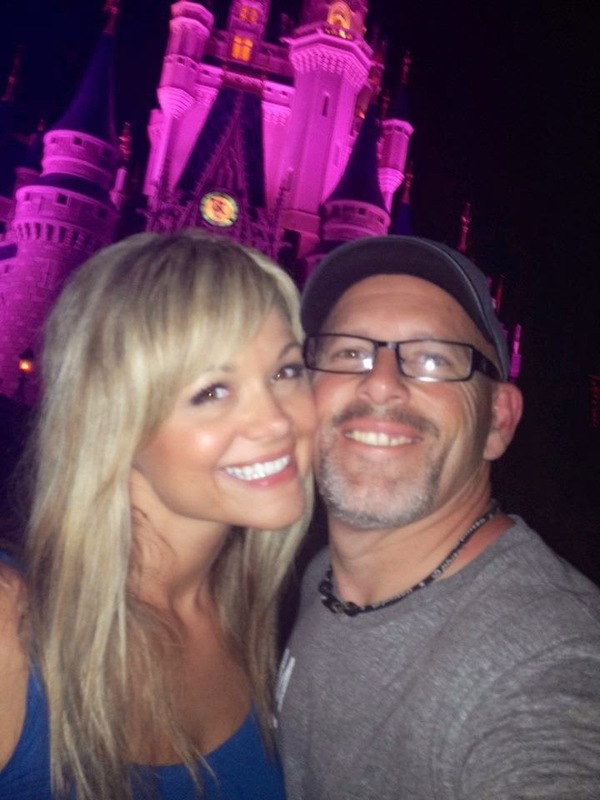 The next two products that I’m going to talk to you about are items that I use multiple times a week. 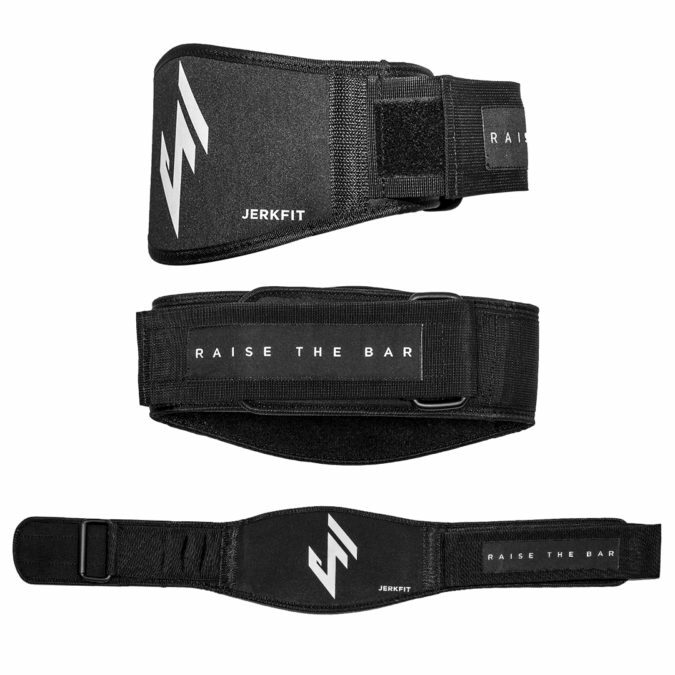 First, let’s chat about JerkFit’s Reversible Knee Sleeves. Over my many years of lifting, I’ve gone through easily a couple of dozen different sleeves. I personally am a fan of the thicker heavier duty sleeve for lifting, but also like to wear a lighter sleeve for basic movements during a workout. These sleeves are absolutely superior. The stitching is strong and heavy duty. I do have full range of motion when wearing these sleeves. A few days ago, we concluded the Memorial Day Murph workout. I even worn them during air squats. My knees stayed warm and I felt like I was able to remain active without any pain. 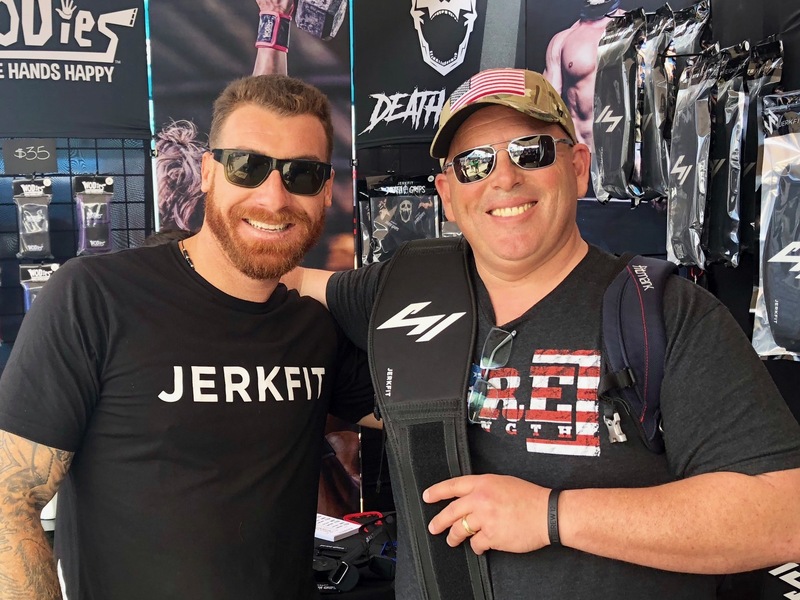 It should also be known that at the age of 46 my knees have taken a beating over the years, with JerkFit’s knee sleeves I feel very confident with the protection of my knees. 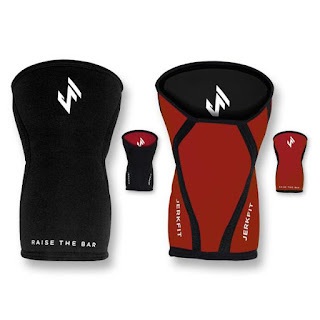 The firm support and compression of the sleeves allow me to squat any movement with confidence. They are made with a high-quality 5mm thick neoprene. One of the cool features is that it is reversible from black to red. One of the other areas that I love wearing the knee sleeves is during lunges and burpee‘s, they give you a little extra knee support as your knee pounds against the ground, and it keeps your joints warm which reduces injury. For me mentally, I greatly appreciate the extra strength and support around the knees when lifting heavy. You can feel confident in raising the bar with these sleeves around your knees. After getting these in the mail, Heidi wore them on a squat day. She traditionally has not worn knee sleeves. As soon as we got home she ordered her own pair of JerkFit sleeves. The last item I want to throw your way is JerkFit’s weight belt. Like the sleeves I’ve gone through easily a couple of dozen weight belts over the years. I am a big fan of using the weight belt even when lifting moderate weight, it strongly helps keep your spine in line and keeps your form square. This belt is made with a heavy-duty neoprene like material, it’s extremely comfortable, and fits to the contour of your back. I quit using the heavy leather belts years ago and appreciate the light weight belts. 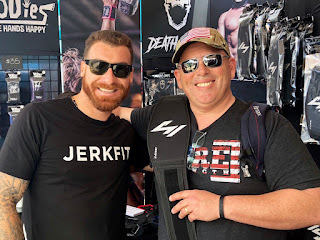 JerkFit’s weight belt is excellent and lightweight. A few of the things that I love about this belt is how it overlaps so that you can pull the belt down further and it provides a second layer of velcro for a double secure hold. This is an awesome feature as most of the light weight belts don’t have this second secure hold. It absolutely drives me crazy after you get done with the squat and you come up and your belt is folded over this velcro prevents that from happening. JerkFit crew at Crossfit West Regionals. 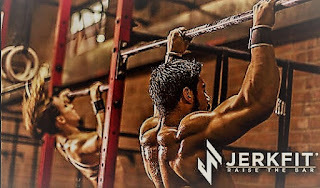 To date we have reviewed now 5 items from JerkFit. Every single item is of high quality and you will not be disappointed in any of their products! 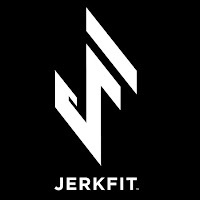 JerkFit GREAT job with all three of the new items! Rope, sleeves and belt A+!! !